Starting in model year 2017, Porsche introduced the options Connect and Connect Plus across their model lines. If you have ever spent time on their home site at Porsche USA building a car you will know it's not exactly easy to decipher if you need Connect or Connect Plus. Or if you get Navigation, why can't you get Connect? What the hell is going on Porsche? Well today I am going to breakdown the difference between Connect and Connect Plus. To start let's talk about which cars come with Navigation and which ones do not. The 2017, 2018, and 2019 Porsche Cayenne, 911, and Panamera models all come with Navigation as standard. In the case of the 911 and the Panamera this also includes Connect Plus. Starting in 2017 all Platinum Edition Cayennes also include the Connect Plus option as standard while the rest of the Cayenne line-up requires Connect Plus to be selected as an option. The 2017, 2018, and 2019 Porsche Cayman, Boxster, and Macan models do not include Navigation as standard. 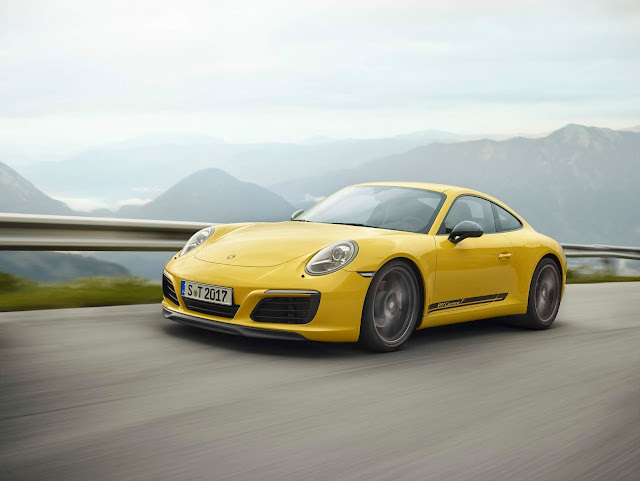 For model year 2017 and model year 2018, Porsche offered, Connect, Connect Plus, and Navigation all as options for these models. To make things confusing, for model year 2019 your choices are now Navigation including Porsche Connect and/or Apple CarPlay. Now that doesn't sound all that confusing does it? Uh huh... But don't worry, let's break this down in no uncertain terms from option to option. What's it do: Exactly what it sounds like. You will have access to your CarPlay supported apps right in your Porsche Communications Management system (PCM). The standard apps from Apple are Phone, Music, Maps, Messages, Now Playing, Audiobooks, and Podcasts. Additionally apps such as Pandora and Spotify are supported as well. Feel free to browse Apple's site for a full-list of approved apps. This way you have access to Apple Maps for Navigation without having to pay an arm and a leg for the Navigation software from Porsche. And the benefit is the maps are fully updated by Apple as well as real-time traffic support. This does your cellular data so keep that in mind before you go stream happy. CarPlay requires use of your lightning cable and at this time Porsche does not support wireless CarPlay in any of their vehicles. 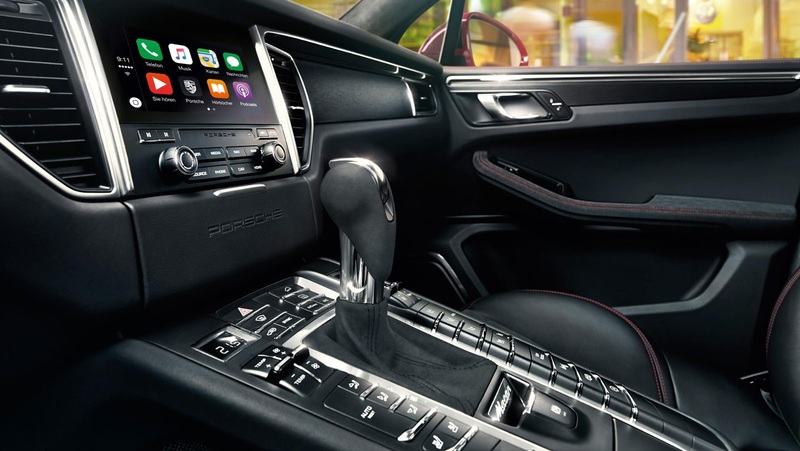 What's it do: Porsche Connect offers you all of the benefits listed above in Apple CarPlay as well as giving you access to Porsche Connect Services. Porsche Connect Services works in conjunction with the Porsche Car Connect app available on iOS and Android phones. Services are included for a year trial period that starts on the warranty start date. The functions may include Remote, Safety, and Security Services as well. These things include trip statistics, vehicle info (miles to empty, fuel level, odometer reading, etc. ), Door locking and mirror folding capabilities, and vehicle location. They can alert the authorities upon airbag deployment if you cannot. And it can allow for vehicle tracking if the vehicle is ever stolen. These services are activated by your dealer's service department and often can be done before you pick your vehicle up for the first time if you special ordered it. Annual cost can be found on the Porsche Connect store online. Available on 2017 and 2018 Macan, Boxster, and Cayman models and the 2019 Macan models. What's it do: Hard drive powered navigation like we've been using for decades. This is a no frills navigation which looks nice and clean and is easy to use. It even supports Navigation by compass and GPS if you are in an area not covered by map data. Unfortunately this does not include any real-time traffic information or other neat features that are useful in major metro areas with traffic. But don't worry, you can add Connect Plus and gain those features and more as listed below. Option: "Navigation including Porsche Connect"
What's it do: Includes all of the benefits of Navigation as well as all of the benefits of "Connect" except the Apple CarPlay support. Additionally, there is a 4G LTE module with an embedded SIM card as well as a SIM card slot. This includes updateable onboard maps for the first 3 years and Navigation and Infotainment Services. These services are included for the first year just like the Connect services. They include things such real-time traffic, dynamic routing, news feed, twitter feed, parking info, flight info, weather, fuel locations and prices, and more. Keep in mind these offerings depend on Porsche and some may be added or removed at any point. One of my favorite features allows you to search for local events in the PCM and the data is sourced from Eventbrite. The additional SIM card slot can give you access to in-car WIFI as well. You simply have to request the SIM card from Porsche Connect directly at 1-800-PORSCHE; option 3. Keep in mind, once you add this SIM card you lose your free year of data so consider how much you are going to use the WIFI before adding. What's it do: Everything listed above in option "Navigation including Porsche Connect" as well as Apple CarPlay Support. Must be ordered in conjunction with option "Navigation" on the cars listed under available. 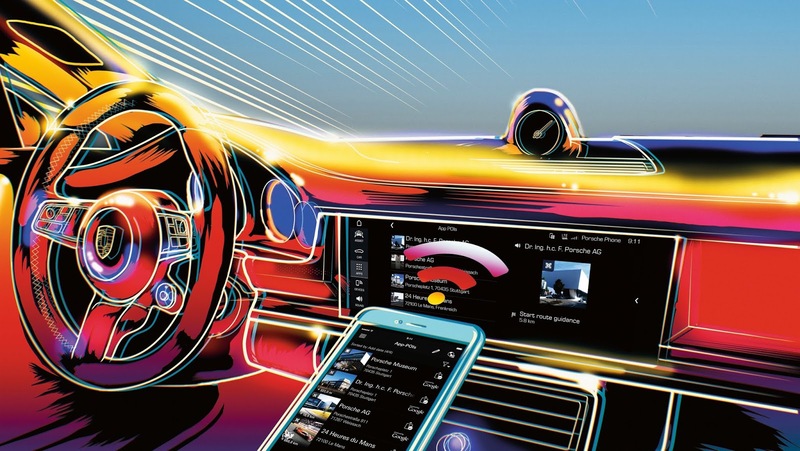 Certain cars including the 2018 Porsche Macan, it includes a cellular signal booster that needs to be registered with your cell service provider. If your vehicle includes this, there is a card in the owners manual detailing the numbers you need to provide to your telecom provider. You also gain use of the Porsche Connect App on iOS and Android. The app allows you to search for addresses in your phone and transfer them to your PCM when you get in the car. Additionally, it can pull addresses you have synced to events in your calendar as well as internet radio support and Napster app support. In 2017 there was Google Earth support as well. Porsche is supposedly replacing that with another service so don't be surprised if you gain a new feature unexpectedly. Now you may be saying to yourself, "well Steven, that all is great but I am looking at used car that may have some or none of these options installed, what are my options?" In most cases you will find that the Navigation module for PCM and Apple CarPlay can be installed retroactively on 2017 or newer vehicles that did not come with those options. However, the services you receive via SIM card in Connect Plus or the Car Connect App support you receive in Connect cannot be installed after the fact. So if you are considering a used car that does not include the SIM and real-time traffic support, and that's a deal breaker, pass. Or, consider the cost of having Apple CarPlay installed since you will get real-time traffic through Apple using their Map app. If you want to know if this is available for your car check out Porsche's Tequipment page for more details and availability. When you are trying to find the difference between Porsche Connect and Porsche Connect Plus as well as all of their other mobile and technology options, Porsche stays true to form. There are endless possibilities of customization. That is until we move to a point where everything is standard. And it's coming. Given the climate of mobile first for software development and equipment support, it's only a matter of time. Until that happens, hopefully this guide can help keep it straight when you are building your next Porsche or looking at cars available online. Feel free to comment below if you are still confused or would like me to expand on something.